If you are getting ready to buy a condominium, townhouse, or a unit within an apartment complex, you will benefit from having fewer responsibilities of property upkeep than many single-family homes require. No whittling away your weekends mowing the lawn, or watering the grass when you live in a planned community. There are many positive aspects of living within a Homeowners Association (HOA). Rules will vary according to the location, amenities, and management requirements of your specific HOA, but, in general, you will want to know about these main categories. Are there pet restrictions? For example, are certain pets allowed while others are not? If pets such as dogs and cats are allowed, there may be a weight limit, breed requirement, and/or specific restrictions of where the pet can be within the association. Registered service animals are protected by disability laws, so be sure to have the appropriate paperwork if you have a service animal. How many parking spaces are given? Ask questions about what spots are considered yours and which are meant for guests only. Do you have an assigned space for your car or is it a first-come, first-served policy? In addition, you will want to ask about the snow plowing and regular maintenance that will be done in the parking lots or garages. If you have a boat or RV, you will want to ask if there are special parking facilities that you may access. As you consider buying into a community, you will want to know if there any current litigations pending involving the HOA. If so, what are those litigations? You will also want to know how often the homeowner’s dues have been raised and what the current homeowner’s dues are. If you smoke or vape, you will want to find out what rules apply to your association and to your individual unit. Questions you would ask include finding out where smoking is permitted and restricted. Are there smoking regulations in common areas such as the gym, pool, or lounge? Concerning individual units, are there any restrictions for smoking including on unit patios. Many condo associations have certain rules that limit the number and type of outdoor decorations. If you’re someone who loves to decorate inside and out when the holidays come around, you’ll want to ask what rules apply before you move into a HOA. Many people who live in an association love the amenities such as the pool or gym. Be sure to find out what the guest rules are that would allow you to have a friend or family member use the facilities. When living in an association, many people worry about their privacy and how they will get along with neighbors. Ask about the soundproofing between units, and what to do if there is a noise complaint or neighbor dispute. No one wants to think about the worst case scenario, but you will want to ask about the master insurance in the case of a fire or a liability. Emergency preparedness is important. Before making a condo purchase offer, you are entitled to a copy of the latest financial statement for the complex to check the reserves, annual income, and expenses. For over 30 years Thayer Associates has been providing property management, maintenance management, financial services, and governance services for associations in the greater Boston region. If you have questions about our company or your potential purchase, contact us today at 617-354-6480 or visit our website. New England has its fair share of wet weather to deal with, from rainstorms in the spring, summer, and fall, to ice storms and mounds of snow in the winter. 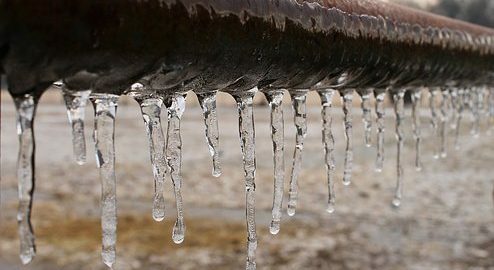 Add in issues of frozen pipes, aerial flooding, coastal flooding, and water/sewer backups, and “Earth’s most abundant resource” (water) can quickly become a huge problem. Water damage is a common and tricky issue that homeowners all over our region deal with no matter the season. Let’s take a closer look at the questions to consider when trying to determine where responsibility may lie. Whether it is a small “drip, drip, drip,” or a larger “gussssh,” the problems related to water damage can be one of the more complex issues when it comes to living within an association. There is often a fine line that determines who is responsible when it comes to water damage. Determining who is liable for the damage means taking into account several factors such as the root cause of the damage, the location, and insurance guidelines. The general rule of thumb for HOA repairs versus homeowner repairs are usually differentiated based on whether the damage is to the exterior of the building or the interior. Unfortunately, many cases of water damage tend to start on the exterior of a building and work their way inward. This makes it difficult to decide where to draw the line. The answer, then, to the complex question is often found within the governing documents of the condominium association. While it is difficult to discern specifically who would be responsible for what in this blog, there are some questions you will want to consider. Where in the condominium complex did the water damage occur? For instance, did the leak happen in a common area such as a hallway, stairwell, lounge, or gym? Normally, this would be covered by the HOA. What was the ultimate cause of the water damage? For example, did your toilet back up or a pipe burst in your condo unit? In that instance, your condo insurance will most likely be the one to contact about repairs, not the HOA. If the water damage is caused by a roof malfunction the HOA would probably be responsible for the outside damage and then determine if interior damage will be the responsibility of your insurance or the association. What is covered and what is not? Before you buy into a condo association, always ask what may or may not be covered. For example, would water damage be covered from a flood? Who would handle the financial responsibility if a leak originated in another unit and spilled over into yours? What would be the deductible in the case that the leak originated within my unit? The answer to these questions and who is responsible for water damages is unique to each association. Be sure to review your copy of the master insurance as well as your own condo insurance. Any questions? Contact Thayer & Associates, Inc., AMO at 617.354.6480 or visit our website. If you have a pet, you know that they are, “one of the family” in many ways. Nothing compares to coming home to a loyal companion who can bring comfort, security and, of course, unconditional love. But what if you live in a condominium that is run by a homeowners association (HOA)? Their job is to create pet policies that will benefit the group as a whole. Let’s take a closer look at what issues you may be dealing with in your HOA when it comes to common household pets as well as service animals. The type and number of pets allowed in an association. The size and breed allowances of each pet. Guidelines on pets being spayed or neutered. Guidelines on pets being up-to-date on all vaccinations and health exams. Rules for outside areas that can be used and guidelines for picking up and disposing of pet waste. Requirements that pets be on-leash while outdoors and meet all municipal rules and regulations. In addition to these considerations, management will have guidelines on what to do if a pet causes damage, excessive noise or becomes a nuisance to other pets or condo owners. There will probably also be rules about pet identification and registration of new pets within the association. 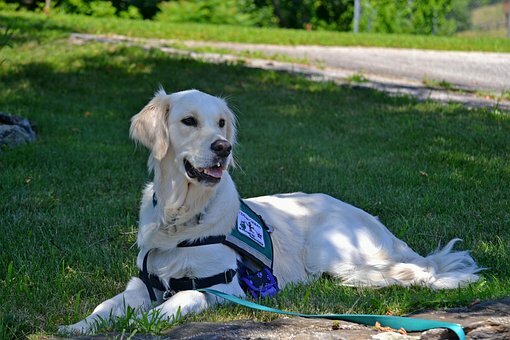 There are other considerations when it comes to service animals: pets that work, provide assistance, or perform tasks for the benefit of a person with a disability. Under the Federal Fair Housing Act (FHA), a disabled person may use or seek to use an assistance animal in housing where the provider (the association) forbids residents from having pets or otherwise imposes restriction or conditions relating to pets and other animals. Recently, the U.S. Department of Housing and Urban Development issued a memo about when it comes to the question of a service animal. Under the Americans with Disabilities Act, the regulations narrow the definition of service animal specifically to dogs. “Other species of animals, whether wild or domestic, trained or untrained, are not service animals.” Additionally, the definition of “service animal” excludes emotional support animals. 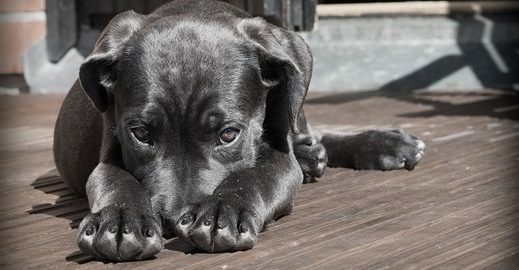 Creating a pet policy that is fair to all who live within the association is fairly straightforward and requires making rules that are fair and enforceable. Legal assistance may be necessary when making accommodations for homeowners who wish to apply for a service animal exception. Common hallways, amenity areas, and parking lots can seem like areas where you can talk louder than normal or, if you have children, let them run around and play a bit. Try to be sensitive about your noise level and at what hour you are making the noise. If you share a laundry facility, hallway, pool deck, or even an outdoor seating area, be especially respectful when using the facility. That means pick up after yourself, use the furnishings carefully, and treat equipment knowing that others will want to use it after you. While it might be tempting to put your trash outside the door of your unit, in order to remember to bring it out later, it could become a problem. The smell or sight of your lingering trash bag could be a nuisance to your neighbors. In general, it is a good idea to put the filled trash bags into the trash bins immediately for health and pest control reasons. We know that New England in the winter can mean snow-covered lots. But whenever possible, park in the right spot and allow for space for your neighboring cars to get in and out easily. If you have guests visiting, remind them of the proper places to park their cars. If you live in an association where pets are allowed, be sure to pick up after your dog. Keep your pet on a leash and encourage good behavior by not allowing him/her to jump on neighbors or bark excessively. Being a good neighbor is easy if you follow the golden rule of treating others as you would like to be treated. Here at Thayer Associates, we handle many aspects of being a good neighbor with our property management. From online association services to community building services, we offer a host of ways to make your living community happy, safe, and well maintained. If you are searching for a property management team, contact Thayer & Associates, Inc., AMO at 617.354.6480 or visit our website. The demand for parking has increased dramatically over the past few years. In fact, the city of Boston and the surrounding communities have been ranked as some of the worst places to find parking. Despite the newer parking apps and a pilot parking program called “Performance Parking,” finding a spot within the city and near your condo or living quarters is a nearly impossible feat. That is why, when a condo or association offers parking spots, they are considered priceless. Managing these highly coveted parking spots does take planning and supervision. There are inevitably battles over spaces, guest parking, and the size of spots that can be a source of constant headaches. Each association deals with these issues in varying ways with some commonalities. For example, most condo units that are lucky enough to come with a parking spot are usually considered deeded parking, assigned parking spaces, or some are first-come, first served. Some condo associations determine the proximity of the spots and the number of spots based on the unit’s number of bedrooms, seniority, or fee structure. The means by which each parking spot is allocated will somewhat determine how to solve parking issues that come up over the years. Each condominium association will normally have what is called CC&Rs which stands for covenants, conditions, and restrictions. These clearly spell out the parking guidelines and rules for each unit. Depending upon your association’s rules, issues such as snow removal, security, larger cars, visitor parking, and commercial vehicle parking should be clearly understandable. If a rule is violated, there could be complaints filed and fines assigned to each infraction or potentially a loss of assigned space. Special circumstances are also an occasional issue when it comes to managing parking spaces within a condo association. If a unit owner is dealing with a disability and proves the medical need to be parked closer to an elevator or ramp then the community will need to deal with rearranging the parking in order to accommodate the owner. In addition, with the dawn of hybrid cars, many condo owners are now requesting that there be spaces designated as charging stations that can be used to power up their vehicles. Finally, seasonal issues may also come up where a unit owner needs to park an RV or boat for a short time. All of these issues are something your condo association or your property management company should be able to mediate and safeguard. Thayer Associates are experts in managing and resolving parking disputes. We understand the value of a clean, well-maintained parking spot. We also know that commuters in our region face tight quarters and weather that sometimes is not cooperative. Questions? Call Thayer & Associates, Inc., AMO at 617.354.6480 or visit our website. More and more Americans are “Going Solar” every year. The economic and environmental benefits are hard to ignore. The reduction or elimination of electricity costs, an increase in the value of the property, and lowering our combined carbon footprint are powerful reasons to find out more about solar energy systems. Let’s take a closer look at how going solar within an association differs from individual homeowners and how these solar projects can work within an association. For individual homeowners, the task of installing a solar energy system is fairly cut-and-dry. Once a homeowner chooses a company, they install and start saving almost immediately. Within condominiums or co-ops, the process is a little more complicated. Solar projects in condominiums involve multiple stakeholders, therefore they tend to get a bit more complicated than simply installing solar on a single-family home. Due to this, it is important to work with a contractor and property management specialist who has experience in the process of installing solar energy systems on a condominium. It is important also to thoroughly communicate what the benefits to each unit owner will be over the life of the system. Association Projects: According to EnergySage, “With an association project, a solar PV system provides electricity for common areas of the building. Association projects typically connect to the building’s common electric meter, and any extra electricity the PV system produces can be shared with individual condo unit owners.” This way, all unit owners share the benefits of solar. Prior to installation, all unit owners should be made aware of the costs and financial benefits that will happen with a solar install, as well as what will happen if they decide to move in the future. Single or Joint-Owner Projects: In instances where the condo association rules and bylaws allow it, single or joint-owners can install solar panels on a roof for their personal use. Unit-owner projects don’t require that all of the residents make an investment in order to install the solar energy system, so they may be easier to negotiate in large condo complexes. There may, however, be limitations on the usage of the roof and if fees may apply to this. If your condo association has questions about solar installations and how they may work in your area, talk to our knowledgeable staff at Thayer & Associates, Inc., AMO. Call our office at 617-354-6480 or visit our website. According to the Centers for Disease Control, Massachusetts ranks 9th among the states in the prevalence of smoking. Their recent statistics show over 18% of adults over the age of 18 smoke cigarettes. This number is down from past years and is expected to continue to decline. 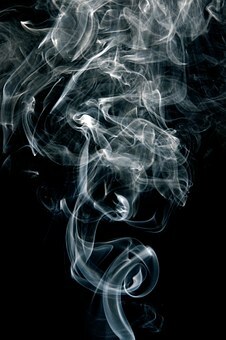 However, if you are a resident of a co-op or homeowners association and you are dealing with the nuisance of secondhand smoke from a neighbor or fellow resident, then these seemingly low numbers will not mean much to you. Ridding your family and home of the odor and hazard of the smoke wafting into your living areas will be your main concern. What, then, can homeowners within an association do to address smoking issues? Read on and find out more. Massachusetts has a “Smoke-Free Workplace Law,” which states that any workplace with one or more employees or a common area that is open to the public must be smoke-free. Common areas of a condominium may constitute a workplace if contract employees or independent contractors – including maintenance personnel or building supervisors – work in the area. Local boards of health and municipal governments may issue fines of up to $300 if a violation of the law occurs. Many condo associations and co-ops are responding to complaints of secondhand smoke by going completely smoke-free. Condominium trustees and boards typically already have authority to establish common area rules and, therefore, can make common areas smoke-free right away. This could include areas such as laundry facilities, pools, gardens, tennis courts, meeting areas, clubhouse common areas, and common hallways. Establishing a smoke-free rule for individual units takes a little more work. Condo boards and trustees can put the issue to a vote with the entire association. Typically, 75% to 85% of unit owners must vote in support of the rule for it to be binding on all units, which would include outside private-use balconies and patios. Enforcing this rule, whether it encompasses only the common areas or the individual units, should incorporate actions such as: posting “No-Smoking” signs, clean up cigarette butts and remove ashtrays from common areas, responding quickly and consistently to potential violations, and informing unit owners that they will be held financially responsible for violations, even if the smoking is done by their guests or tenants. Just like other nuisance issues such as loud dogs, boisterous children, and a renter’s bad behavior, violations can be addressed case-by-case in order to ensure the health and safety of all the residents living in your association. If you have questions, concerns, or if you need assistance with your property management, consider Thayer & Associates, Inc., AMO at 617.354.6480 or visit our website.